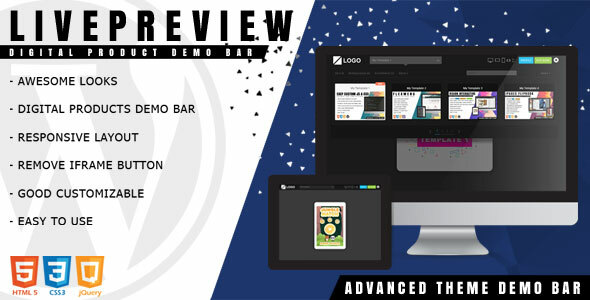 LivePreview is used to manage, switch between your digital products like WordPress themes, HTML templates, HTML5 games and etc. The plugin includes a responsive test tool, switch panel with thumbnails of the products, buttons for different actions (buy, iframe close). You can customize it by changing the style file (css or less). The plugin can be deployed easily. It runs on all modern browsers and mobile devices like iOS, Android and Windows.